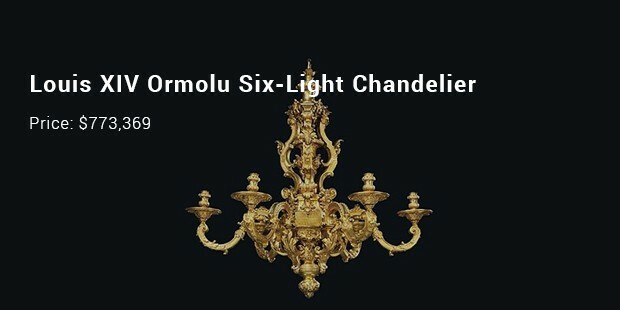 Here is a list of the most expensive chandeliers in the world. They are often held in reserve for official banqueting rooms or ostentatious entry gates. You may even find them in the sitting rooms of affluent people. On the other hand, contemporary designers are at all times on the lookout for a theatrical focal point. You wouldn’t believe me, but chandeliers are now being put up in kitchens, boudoirs and hold your breath, rest rooms! 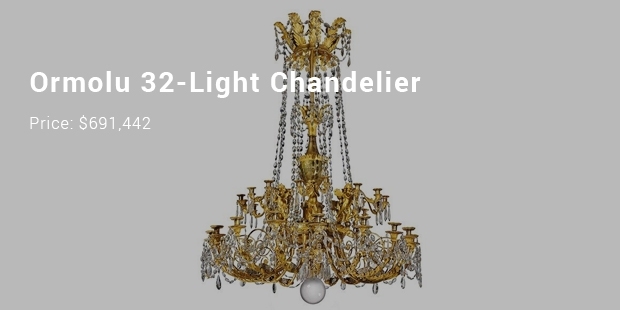 In case you like chandeliers and want your living space to look gorgeous you must make sure that the styling goes well with your décor! 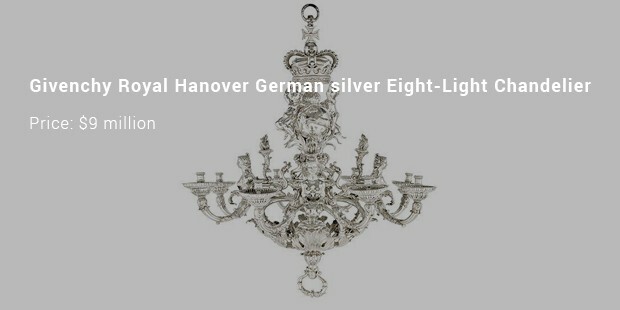 The most expensive on this list of the most expensive chandeliers is Givenchy Royal Hanover German silver eight-light chandelier. It was created by William Kent. It received more than $9 million in an auction that was organized at the famous Christie’s. 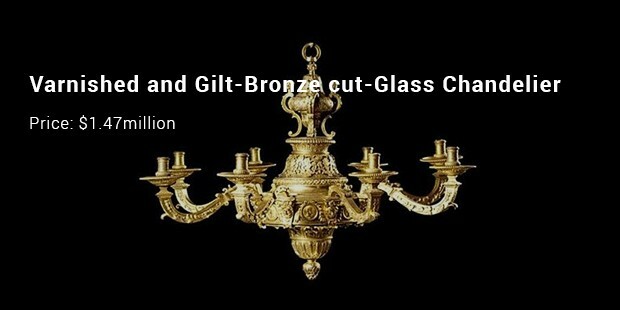 Second in our list is the varnished and gilt-bronze cut-glass chandelier. 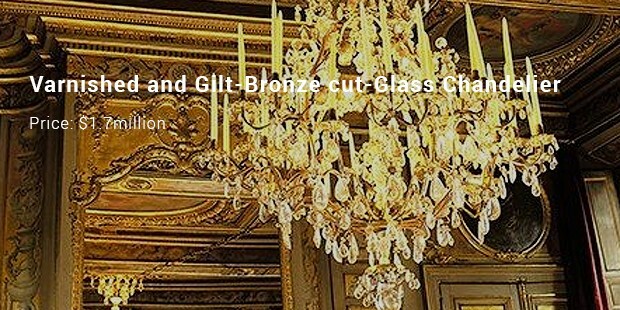 It belongs to the collection of the famous Baron de Redé. It was sold at a whopping $1.7million, though it was calculated to be between $1.3 million to $2.7 million. 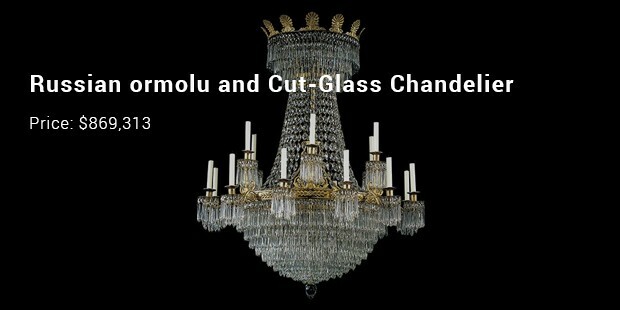 This is the third costliest chandelier on this list of the most expensive chandeliers in the world. It was auctioned at Sotheby’s in London on the 5thof July in 2006. It was sold at an astronomical price of $1.47 million. 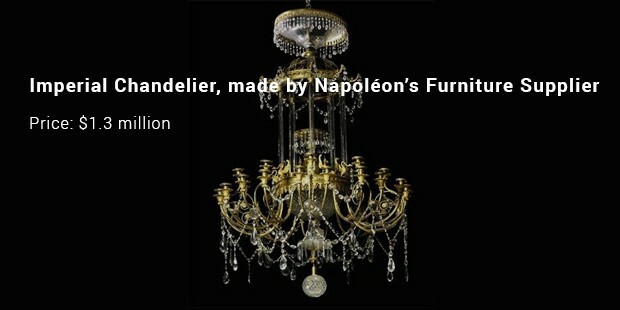 This imperial chandelier, making it to the fourth place in this list, was created by Emperor Napoleon’s furniture supplier! It was auctioned at Sotheby’s. It was sold at $1.3million. 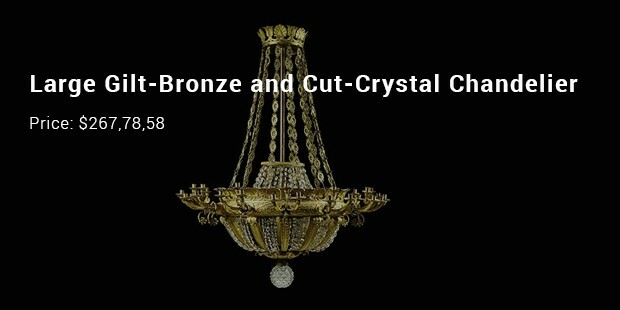 This magnificent chandelier was estimated to bring in $492,222 at least. 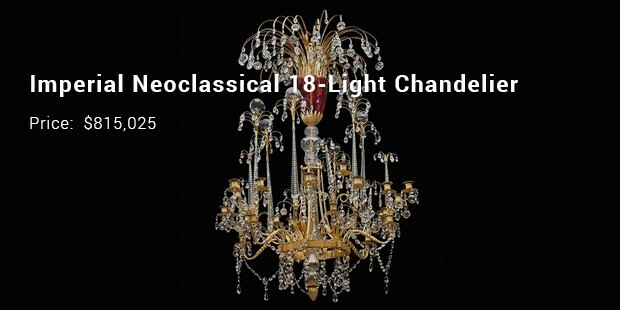 The most majestic and royal of all light fittings are chandeliers. However, this list items are excessively price-tagged! But you can take ideas from these designs and look for replicas in the market. But the play of light won’t be the same.